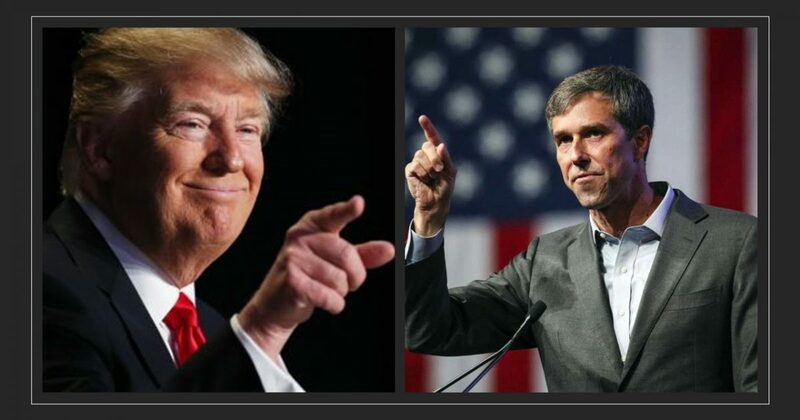 There’s a showdown brewing in the Lone Star State, and this will prove Democrats are in trouble. After Beto O’Rourke failed to unseat Ted Cruz in the midterms, dems are still hanging their hopes on Beto. Apparently, liberals don’t know when to cut ties with a loser. The Texas border is a hot spot for political battles with another shutdown looming in the near future. So far, leftists haven’t funded Trump’s wall. And their lack of support for the President will doom their party. Two representatives from Texas have a proposed solution. Sure, this is a new approach than what we’ve previously seen, but that’s the point. Trump isn’t trying to do things the same old way. You can’t drain a swamp if you go with the status quo. And since Texas is controlled by the GOP, this plan might actually work. In fact, Texas Governor Greg Abbott is a staunch supporter of President Trump, which will help push through the necessary appropriation bills. With the Texas Legislature on Trump’s side, Nancy Pelosi’s power is greatly deflated, which is what Trump is counting on. Democrats targeted Texas a few years back, attempting to turn the state blue. Then they spent mega-millions trying to obtain an upset victory with Beto on their ballot. But after Trump’s rally in Houston, Texas, liberals were knocked down a few notches. Throughout the midterms, Trump experienced standing room only. Meanwhile, Obama relied on camera tricks just to create crowds while hundreds of seats were unfilled. It was a source of embarrassment for the left. Tonight’s rally will be no different. Conservatives will pack the house to show their unwavering support for a border wall. And why do conservatives back the wall? Is it just because Trump said so? NO! Conservatives back the wall because obviously it’s something voters are serious about. In fact, one veteran raised more than $20M in just over a month. People are willing to put their own money behind President Trump. As far back as I can tell, this has never happened on this scale before. And while conservatives are digging in their pockets, Beto is pretending Texans don’t need border security. Obviously, the clock is ticking. There are just 5 days remaining in the temporary deal to reopen the federal government. News outlets report negotiations are stalled. One would think the longest shutdown in government history would motivate leftists to start problem-solving. Instead, they’re hanging their hopes on plans to blame Trump for the impasse. However, Pelosi’s plans will backfire. In fact, we recently reported the steady rise in Trump’s approval ratings. And his SOTU address only fuels Trump’s fire as he used his time to clearly set expectations for building the wall. Now his approval rating looms around 50% according to the latest Rasmussen Polls. Understand, Trump plays the long game. You don’t need to be a fortune-teller to know that Democrats fear their future. What would Trump’s polling be without the incessant attack by the media, Hollywood and other entertainment, and so on? What happens when these people stop attacking? And God-forbid what happens should they actually begin agreeing with the president? Poll numbers in the mid-50s would be Armageddon. But you might see Trump’s numbers go higher. Particularly when you consider the State of the Union numbers. 97 percent of Republicans supported the SOTU speech. Startling, as even getting that much of a quorum for any party is difficult. But what panics Democrats the most is the Independents’ approval of Trump’s SOTU speech. They approved at 82 percent. If only 20 percent of the voting population, fully 16 percent of the voting population would be added to Trump’s base of 40 percent. Finally, 30 percent of Democrats approved of President Trump’s speech. That translates to another potential 12 percent shift Trump’s direction. And you can expect this number to grow going into the election year. So while democrats play childish games, shooting down a wall they previously begged for, Trump will let liberals burn themselves to the ground. 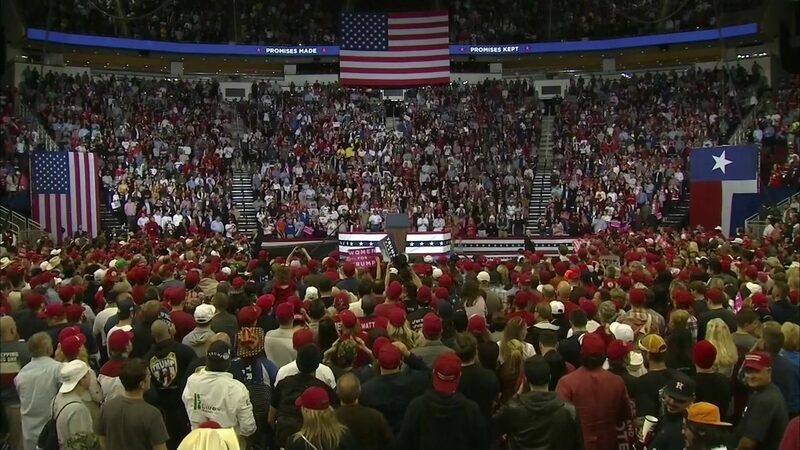 And tonight’s rally in Texas will prove just how serious Trump supporters are.